Film is an increasingly specialized format in the digital age, and no one seems to be embracing that specialization more than Kodak. The onetime photo industry giant—which once controlled 90 percent of the market, but filed for bankruptcy back in 2012—has been reinventing itself as a boutique company for those still devoted to shooting celluloid, whether it’s high-profile blockbuster directors or indies. And, as the logical next step in that push, it’s announced a new Super 8 camera which is expected to retail for somewhere between $450 and $750. 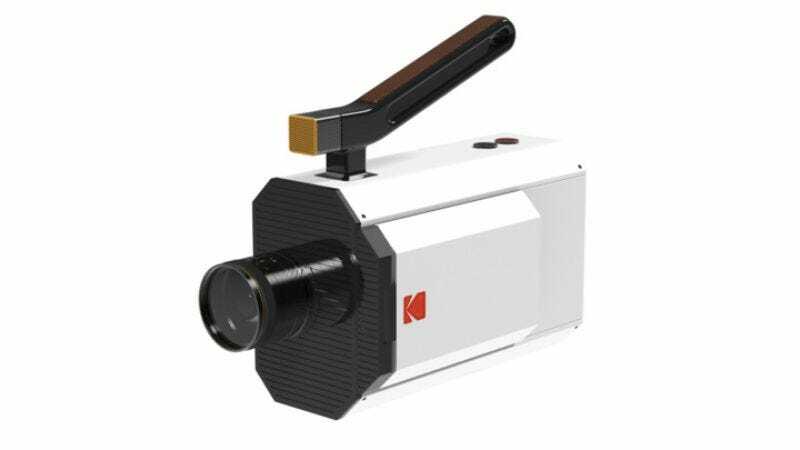 Kodak hasn’t made a Super 8 camera since the early ’80s, though the company has continued to produce Super 8 film due to its popularity with experimental filmmakers and camera geeks. Originally introduced for the home movie market, Super 8 was a favorite of amateur filmmakers for decades, though its popularity drastically declined after the introduction of video recording. Prized for its fuzzy, grainy texture and ease of use, the format shoots on 8mm film stock spooled into plastic cartridges that run for about 2 ½ minutes when shot at 24 frames per second. The Wall Street Journal reports that the camera, currently being exhibited in a prototype at CES, will go on sale in a limited edition this fall, with a lower-cost model available in 2017. It features several digital elements, including a digital viewfinder. Along with the camera, Kodak is also launching a processing service for developing and digitally scanning Super 8 cartridges, which is expected to cost $50 to $75 a cartridge.